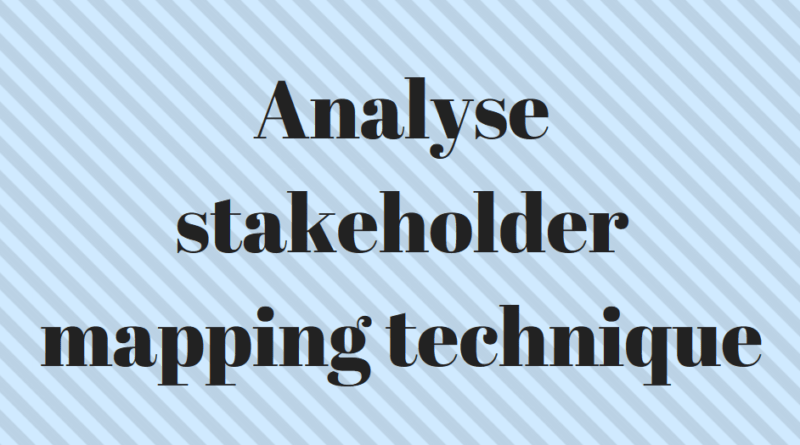 Stakeholder mapping technique (commonly referred to as stakeholder analysis) is the process of identifying an organisations internal and externals stakeholders and mapping who interests should be taken into consideration when developing a policy or program. It is also a way of trying to understand how particular stakeholders may be affected by decisions. Organisations need to manage their relationships with their stakeholders and a failure to do so can result in conflict between the organisations management and their stakeholders. This is particularly important when making important decisions. A stakeholder mapping matrix allows managers to analyse which stakeholders to attach the most importance to when making a decision classified into four most important categories; those who require minimal effort to keep satisfied, those who must be kept informed, those who must be kept satisfied and the most important (key players). 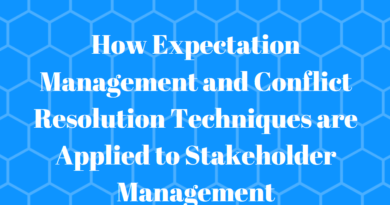 Managers can then break down the stakeholders into the level of interest and power they have in the decision-making process ensuring that they focus their attention on the correct stakeholders for the decision being considered. 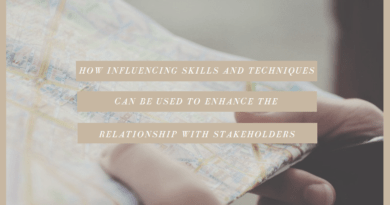 Whilst the stakeholder mapping technique is a good way of broadly prioritising the involvement of stakeholders in the decision-making process, it is not a perfect solution. For example, some managers may feel that priority in the process should be given to shareholders. The collapse of large companies such as Carrilion and BHS would appear to demonstrate that focusing attention on satisfying the wrong groups or stakeholders can result in devastating results for the organisation in the long term.